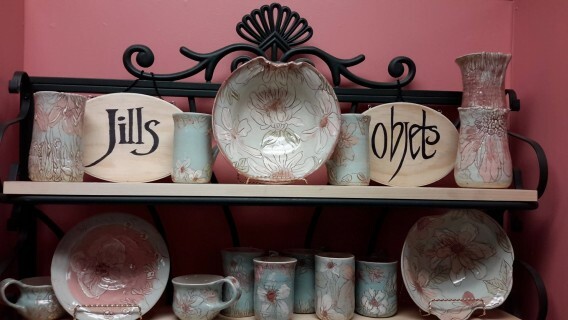 As you may know, Jill Frappier (Luna) creates a variety of pottery items under the brand name Jill’s Objets. Her pottery is now available at the 846 College street location of the Arts Market in Toronto. The Arts Market is a group of gift shops showcasing items created by local artists. The College street location is open Wednesday to Friday 12pm-7pm and on weekends from 11am-7pm. If you are in or near Toronto and would like to check out Jill’s variety of pottery, that is a great place to see and purchase her pottery any time of year. Also, for those who had attended this year’s Sailor Moon Celebration in Toronto, you might have witnessed Jill’s dance moves in our video game area! We will post a video clip of Jill dancing to a game with some of the attendees soon, on our Youtube channel. We could definitely see her zumba skills in action. Fans may also be interested in keeping an eye out for the next Assassin’s Creed video game. Jill participated in motion capture as a character for the game back in August, and she said she had a great time. We will be keeping an eye out for more convention appearances as well, as Jill Frappier and Ron Rubin are interested in appearing together at more shows to meet the fans in future. I will have another voice actor update for you as well soon. 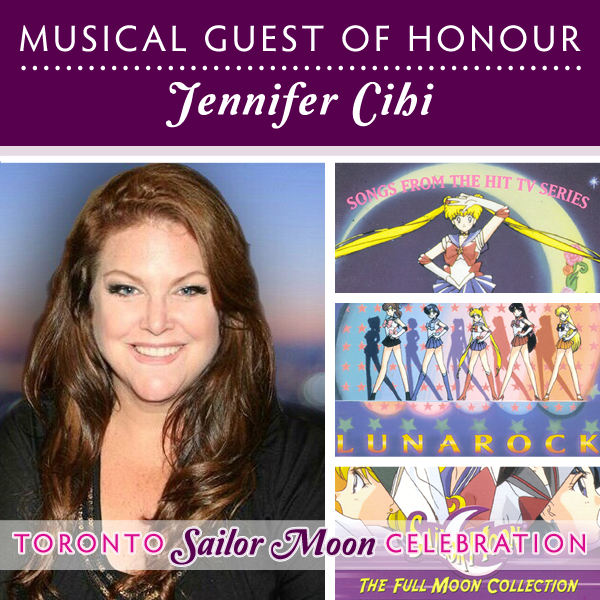 In case you missed the announcements on the event page, we have confirmed Jill Frappier (Luna), Susan Roman (Sailor Jupiter) and Ammie Cosplay as the latest guests for the Toronto Sailor Moon Celebration that I will be hosting at the Ontario Science Centre on Sunday, September 27th. 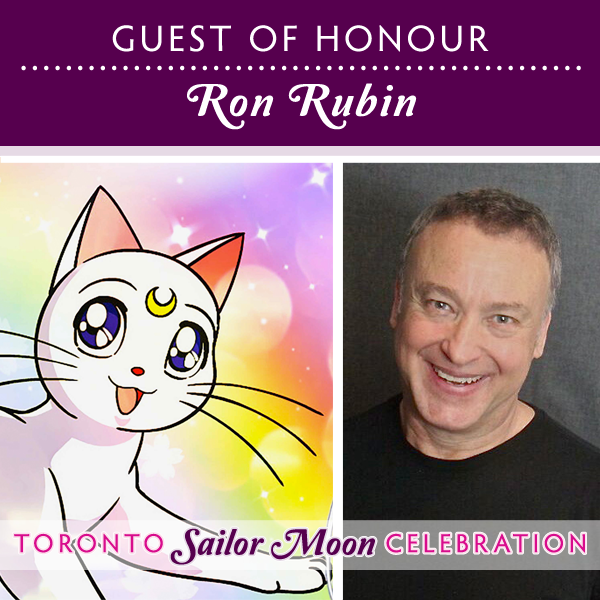 This will be the first time since 2013 that Jill Frappier and Ron Rubin (the voices of Luna and Artemis) will be reuniting at an event! This is an opportunity to meet both cats that you won’t want to miss. Jill Frappier is our third announced Guest of Honour, and she portrayed the original voice of Luna for the entire run of the DiC and Cloverway dubs of Sailor Moon. Jill is an actor, storyteller, drama teacher “extraordinaire,” and has performed in well over 100 plays at major theatres in Toronto and across Canada, including the Shaw and Stratford Festivals. 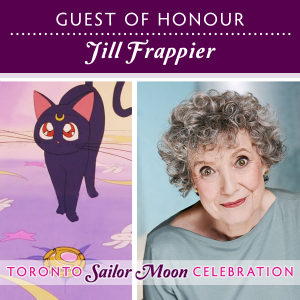 Jill’s voice is frequently heard in CBC radio dramas and televised cartoon series. 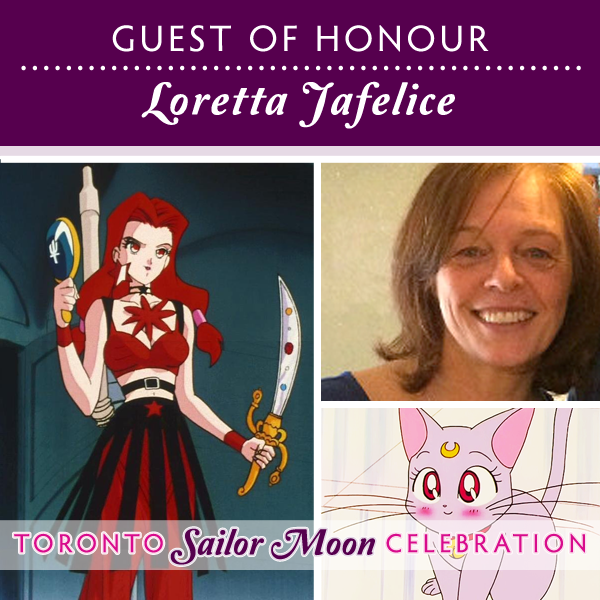 Her most notable cartoon roles are Luna in Sailor Moon, Mrs. Prysselius in Pippi Longstocking, Doucette in Anatole, the wicked Sherry in Totally Spiez, Little Mutt in Animal Shelf, Auntie Yorkshire in Pecola, and the Lady in Waiting (Jane’s Mom) in Jane and the Dragon. 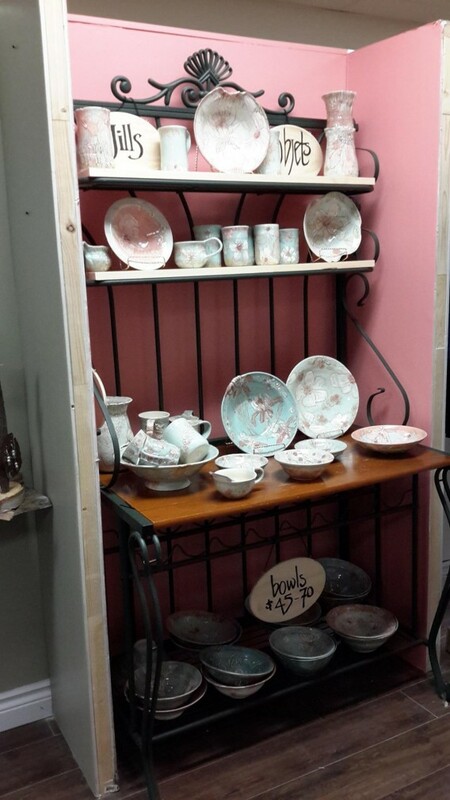 Her pottery, under the brand Jill’s Objets, was recently featured at the One of a Kind Show in Toronto. Our Cosplay Guest of Honour is none other than Ammie Cosplay, who has cosplayed all of the sailor senshi! Ammie started sewing well over a decade ago and has been actively making Sailor Moon costumes for 10 years. As a masters level cosplayer she strives to teach other cosplayers, both novice and masters, tricks of the trade and believes through her own trial and error in the art of costume making, she would like to share the wealth of knowledge she has obtained in the hobby. She has been featured in magazines and books around the world regarding her costumes and lives by the motto “if I can make it, anyone can make it!” If you would like to keep updated with Ammie’s cosplay, you can follow her on deviantART. And last, but certainly not least, our latest guest announcement is Susan Roman, the original voice of Sailor Jupiter in the entire run of the DiC and Cloverway dubs of Sailor Moon! Susan is also known for many other voice roles including Snowy the dog in TinTin, Melissa Raccoon from the second season of The Raccoons, Champ Bear in The Care Bears Movie and the Care Bears TV series, Good Luck Bear in Care Bears: Journey to Joke-a-lot and The Care Bears’ Big Wish Movie, Oliver and Judy Tate in Beyblade, Salima in Beyblade V-Force, and she had a recurring guest role as the Morlock leader Callisto in the first X-Men animated series. Susan also enjoys gardening and has had her garden featured in Toronto garden tours. 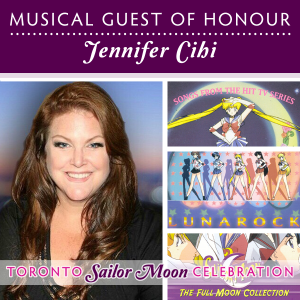 Q&A session with Susan Roman: ask your questions about what it was like to be the voice of the powerful and feminine Sailor Jupiter and how being part of the anime series and movies from beginning to end influenced her view of Sailor Moon. Sailor Moon merchandise: presentation on a selection of merchandise available in Japan and Canada, includes some real life merchandise that you can see up close! Sailor Moon singalong: It’s like a group karaoke! Sing along to various Sailor Moon songs, in English and Japanese. Lyrics will be on a screen so everyone can follow along. If you are interested in running a panel or event, you can sign up here. Pre-registration tickets are $12, pre-registration with a commemorative wristband is $14. At the door, admission will be $15, and the wristbands will be $2 each. Buy your tickets here! Pre-registration will close on Friday, September 18th. X Company is a relatively new television series created by Stephanie Morgenstern (Sailor Venus #1) and her partner Mark Ellis. The series is about a secret organization in World War II era. X COMPANY is an emotionally-driven character drama, set in the thrilling and dangerous world of WWII espionage and covert operations. It follows the stories of five highly skilled young recruits – Canadian, American and British – torn from their ordinary lives to train as agents in an ultra-secret facility on the shores of Lake Ontario. These agents parachute behind enemy lines, where they’re fair game for torture and execution. From elegant hotels to hellholes in the field, it’s one risky operation after another, masterminded by the brains of Camp X.
It’s worth noting that Camp X was a real spy facility, the first in North America, and trained hundreds of spies. The series inspired by Camp X (which includes many historically accurate details) airs on CBC on Wednesdays at 9pm eastern, and you can watch full episodes of X Company on the CBC website. In episode 5, Jill Frappier (Luna) plays the role of Lisette. 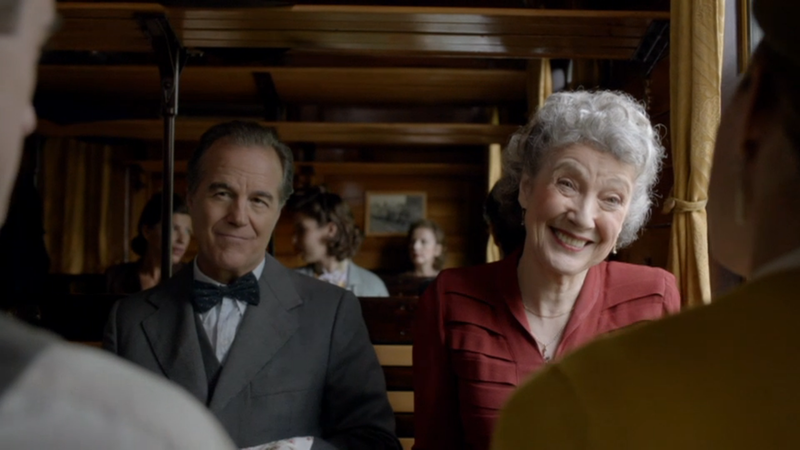 She’s seen at the beginning of the episode, just after the title screen, talking on the train to two of the main characters who have gone undercover as a married couple as a means to enter a town in France where young girls are disappearing. image property of CBC, et. al. 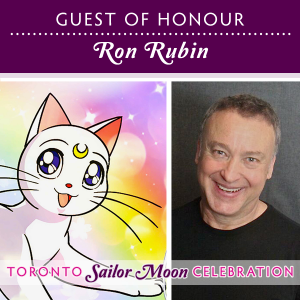 We’ll keep you updated about any other guest appearances by Sailor Moon cast members. If it’s anything like Flashpoint, we can expect to see at least a few more. Hey, fans! It’s just under three weeks until the second annual Unplugged Expo. 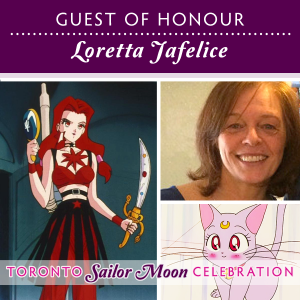 The self-described “weekend of awesome” is going to feature a variety of Sailor Moon talent that fans will not want to miss! Want more? Here is the complete list of anime guests on their website. Unplugged Expo will be held at The Daniels Spectrum Centre in Toronto on October 26th-27th, 2013. Weekend admission is $20 +taxes if you pre-register by October 21st. I will be there to cover as much as I can for Moon Chase readers, and I hope to see you there as well! Edit: Added Roland’s promo video.